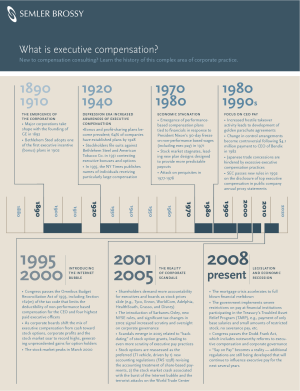 executive and key personnel compensation programs that align with each client’s strategy and performance. We act as an independent advisor to boards of directors and work in partnership with management to create unique solutions that help drive the company’s business strategy. Some of ourservices include competitive pay benchmarking, incentive plan design, performance measure selection, and goal-setting. Find out more about our firm and our work. We invite you to learn about what it’s like to work at Semler Brossy.